The magic and mystery of special effects – a description that these days refers exclusively to practical, on set effects but back in pre-digital days meant any kind of physical or optical effect – was opened to the world with the arrival of Star Wars in 1977. Never before had the tools, tricks and methods of effects been laid quite so bare, and just as it had decimated box office records, album sales, entered the zeitgeist and become a global smash it also raised the bar in the realm of effects. Here and now in 2017 we can look back 4 decades and smile, knowing how Star Wars changed history, but at the time it was truly groundbreaking. That said, there were plenty of effects that were beyond the skills and abilities of the fledgling ILM. 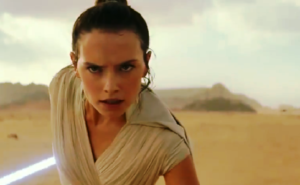 Digital effects were barely an embryo of the beast it is today and characters that Lucas wanted to place in the film in post-production were beyond ILM’s ability to insert. Jabba the Hutt was shot on the Docking Bay 94 set, performed by the late Irish actor Declan Mulholland with the intention of being replaced by a stop-min post production otion effect. 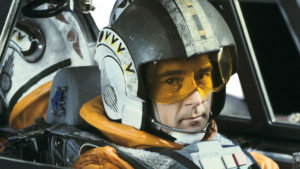 Budgetary concerns and the limitations of the technology meant that effect was a bridge too far for ILM. Jabba would be realised 6 years later as a practical puppet, the largest ever seen on film at that time. In between 1977 and 1983 lay the pathway to Jabba in the form of a character who would become a genuine phenomenon. Jim Henson, the visionary behind the world-conquering Muppets had become a friend of Lucas’ and by 1978 Lucas realised that in order to bring a key character, central to the plot and realism of The Empire Strikes Back to life he would need the skills of the world’s most highly regarded puppeteers. 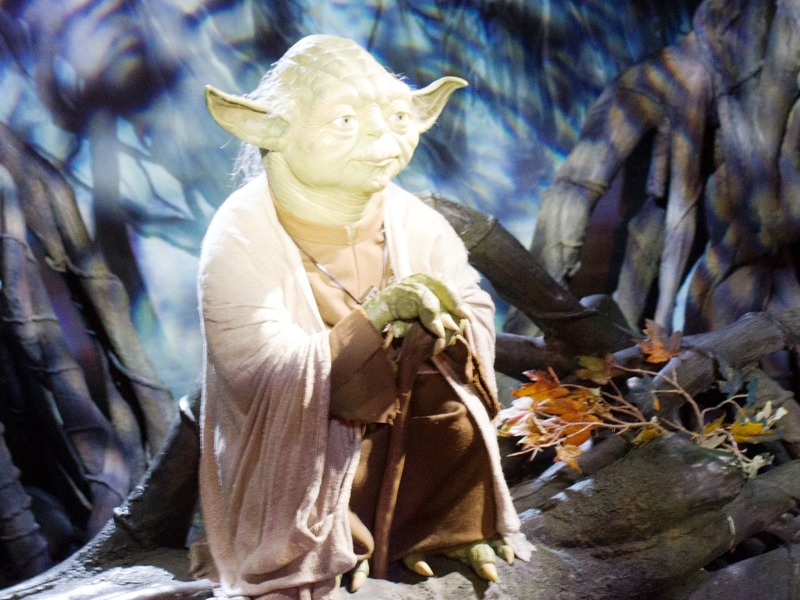 Henson considered his close friend and collaborator Frank Oz to be the most gifted puppeteer in the world and so it was that Oz brought his puppetry skills and flexible vocal chords to the role of Yoda. Lucas remembered his exchange with the late Jim Henson. Yoda was no simple muppet. 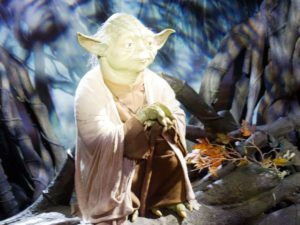 Designed by Ralph McQuarrie and sculpted by Stuart Freeborn, Yoda required that illusive spark of magic that Oz was able to bring to the character. Built by many of the puppeteers who would go on to form Jim Henson’s Creature Shop, Yoda was a striking success and arguably stole the film. The x-factor that the character possessed sold the wider mythology of the story. If the legend of the Force hadn’t been so well explained, who knows where we might be today. That’s thanks in large part to our little green friend. The connections between the Muppets and the galaxy far, far away didn’t stop there. As mentioned, Return of the Jedi was a menagerie of alien characters, not only in Jabba’s court centered around the mighty Hutt himself but also in the form of Nien Numb who gave a puppet presence to the final act of the movie. And beyond the galaxy far, far away the connections continued. Mark Hamill made a famous appearance on The Muppet Show Episode 417 where Hamill played his ‘cousin’ Luke Skywalker alongside Chewbacca, R2-D2 and C-3PO and even starred on Pigs In Space – the ultimate crossover. 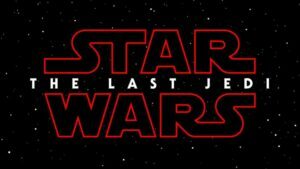 Sesame Street saw a number of Star Wars performers join the show including James Earl Jones, Natalie Portman, Liam Neeson and Billy Dee Williams (Lando Calrissian). 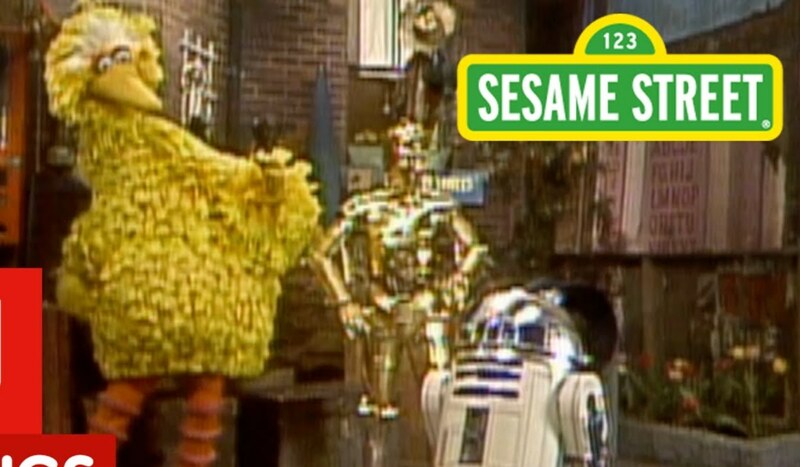 C-3PO and R2-D2 appeared twice on the show in 1980, the year of the most crossovers between the two worlds. Lucas would later executive produce the 1986 film Labyrinth, directed by Henson while Henson and Oz would co-direct The Dark Crystal, produced by Gary Kurtz in 1982. Had the decision not been made to turn to Henson and his band of inspired muppeteers and geniuses, would Yoda have ever translated from the page to the screen quite so successfully? In 2017, the likelihood is that he would be realised as an entirely CG character, voiced by a different talent to that which brought him to life. In the hands of Oz, already a veteran performer back in 1979, he sprung from the page. Of the few examples of ‘outsourcing’ in the original trilogy, this has to be the best.